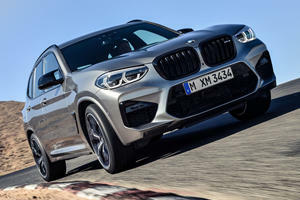 The all-new 2020 BMW X3 M is the smallest SUV (‘SAV’ in BMW speak) the BMW M division has worked its magic on, with the potent crossover arriving with 473 horsepower and 442 lb-ft of torque. Delivering those substantial output figures is a 3.0-liter twin-turbo straight-six mated to an eight-speed automatic and active rear-differential sent to all four wheels. 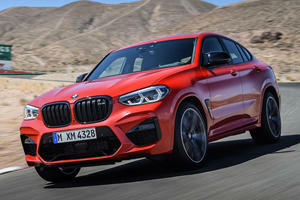 Alongside the base model, BMW has introduced a Competition variant that ups power to 503 hp and top speed from 155 mph (174 mph with the M Driver’s Package) to 177 mph. 0-60 mph happens in just 4.1 seconds, dropping to 4.0 seconds in Competition spec. 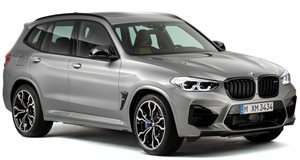 Differentiating the X3 M from the X3 are bigger air intakes up front, an M-specific rear diffuser with a pair of 100-mm exhaust pipes and an optional carbon-fiber aero kit. Set to go on sale in April, pricing for the 2020 BMW X3 M starts from $70,896 (including the $995 destination and handling fee), while the Competition version commands an additional $7,000.